Probiotics are first introduced to a child through their mother’s milk. A study by the Department of Family Medicine at Georgetown University Medical Center, Washington D.C. found that some outside sources, such as antibiotics, can kill both bad and good bacteria and lead to abdominal distress. 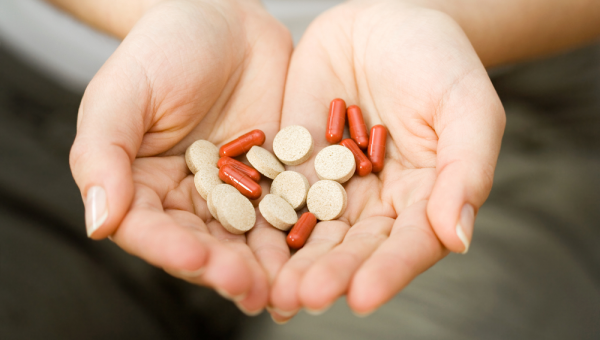 Therefore, finding the best probiotic for kids can be difficult. 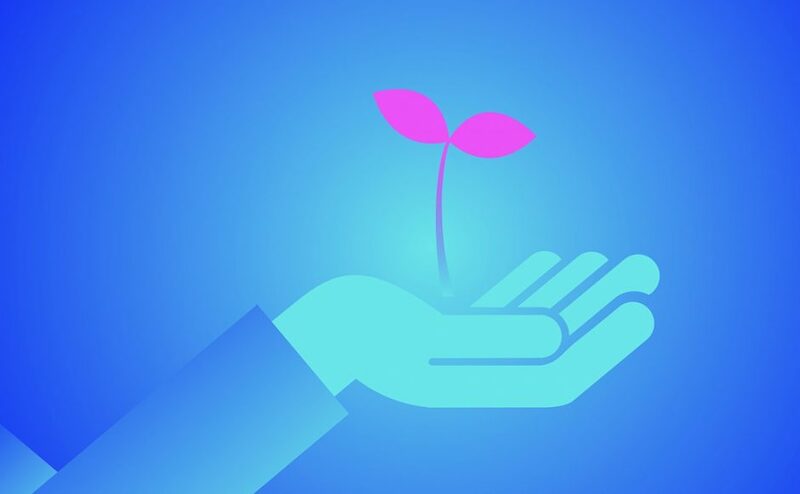 The following 10 probiotic brands have been researched regarding ratings and reviews from verified customers and product contents and ordered according to their average customer rating. 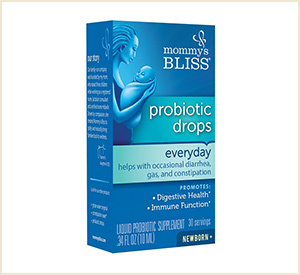 Mommy’s Bliss consists of a flavorless liquid formula specially designed for babies. Recommended by pediatricians, it went through over 800 scientific studies, is 100% vegetarian and uses natural ingredients. It contains no artificial colors, flavors, additives, parabens, or chemicals. There are also no soy or gluten in this product. This product can be used with newborns. It comes in a bottle with a droplet dispenser, making it easy to administer. Mommy’s Bliss works well when administered after shots. Some parents reported their child had an upset stomach after taking the product. This item requires temperature-controlled packaging. 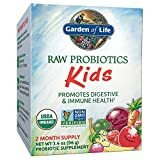 Bottom line: This is the best probiotic for kids for those looking for a liquid product that is easy to use and can be added to a baby’s formula. Most products that aggravate allergies are missing from this product, therefore it’s great for sensitive babies. This probiotic comes in powder form, which makes it easy to add to a baby’s formula, yogurt, or juice. The product contains a blend of 6 types of friendly bacteria developed to resist stomach acids on their way to the GI Tract. This probiotic has at least three billion viable cells per gram after manufacturing. It is easy to measure and add this powder to a baby’s drink. Parents found it worked well in clearing up eczema. The product arrives improperly packaged. Refrigeration is required for this product. 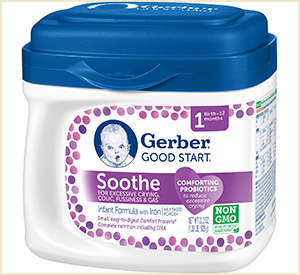 Bottom line: This product was reported to work effectively to relieve the stomach problems babies frequently suffer from. As with all products going into one’s baby’s stomach, however, always proceed with caution when introducing a new probiotic. 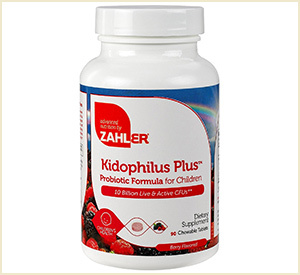 Zahler Kidophilus Plus Chewable Kids Probiotics is manufactured with a berry flavor, research studies show this probiotic serves multiple issues. It is specially designed to make the immune system stronger, assure a healthy gastrointestinal balance and improve the working condition of the child’s gastrointestinal tract. There are 90 chewable tablets per bottle, enough for up to a few months of use. The product helps maintain microflora in the intestines much faster than others. It contains sugar which may cause a problem in some children. 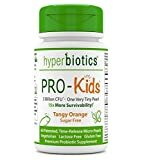 Bottom line: Parents who have problems with their children taking medicine may find this is the best probiotic for kids as its flavor and taste appeal to the majority of children. This product releases a total of 5 billion CFU’s as a daily supplement for digestive health. It contains both raw and organic vegetables and food as well as raw insulin which are required for good bacteria to survive. Sugar-free, it is used for children 3 months or older. This product comes in powder form and can be used for infants or older children with good results. All ingredients used in this product are pure and organic. If desired, this powder can be mixed with juice or yogurt. Some users felt the product is not worth its price. This product must be shipped in cold pack in order to arrive safely. 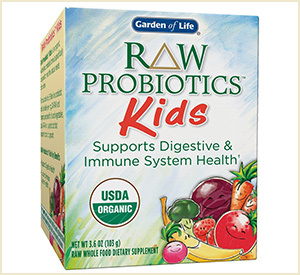 Bottom line: Parents who do not wish their children to ingest sugar or GMOs will find this the best probiotic for kids. In powder form, it is easy to mix in a drink or with other foods. These children’s drops are recommended for a large number of digestive problems like gas, colic, diarrhea, lactose intolerance, or constipation. 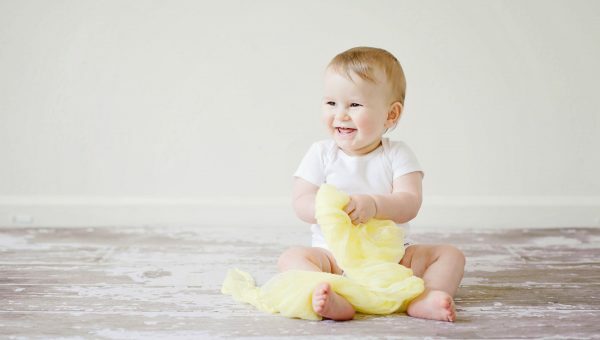 It also helps with eczema, thrush, asthma, and other health conditions common in newborns and toddlers. It is designed to pass safely to the GI Tract and not be deterred by stomach acids. It can be administered directly to the tongue or added to beverages. The dosage is easy to administer. Customers did not like the taste or smell of the product. Some users found no change in their baby’s condition. Bottom line: This is the best probiotic for kids who tend to develop indigestion or constipation when diversifying their diet. 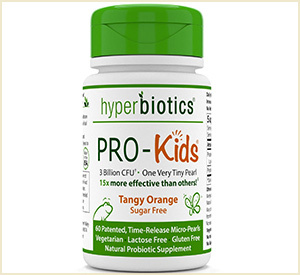 Pro-Kids Hyperbiotics is a product that is natural and has no synthetic or sugar-loaded content. It is free of artificial colors and comes in orange or strawberry-vanilla flavors. This probiotic has been developed to be released over an 8 – 10 hour period which enables it to bypass the natural stomach acids. It contains 60 small pearl-like tablets that are easy to swallow or chew. It’s available in natural orange or strawberry vanilla flavor with no sugar or artificial colors. Children like the taste of this product. PRO-Kids should not be used on children younger than 3 unless mashed in food. This product has a short expiration period. 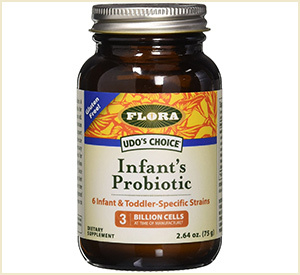 Bottom line: Parents who want to ensure their child’s health consider this the best probiotic for kids. The company states that it will reinstate the microbial balance that may be lost with health problems such as colds, sore throats or antibiotics. If you are looking for the healthiest feeding options for your little one, also check out the best-rated organic formulas currently on the market! This product does not contain soy, wheat, corn, eggs, gluten, shellfish or fish which is excellent for babies with these allergies. It has a chicory taste and contains 10 billion strains of bacteria blended to help babies with special dietary needs. The manufacturer estimates at least 60% of the bacteria this probiotic contains will reach the intestinal tract of your kid. This product can be added to any type of juice, infant formula or other liquids. It can also be directly applied to a baby’s tongue. Most kids with allergies are able to tolerate this probiotic. Some infants had a negative reaction (rashes, upset stomach). The chicory content is a mild laxative and may result in liquid stools. Bottom line: This product has worked well with many children and has not worked with others, which makes it the best probiotics for kids with tougher divestive tracts. Always proceed cautiously when introducing any new product into your child’s diet as each child will have different reactions to food, drink or medication that goes into their stomach. 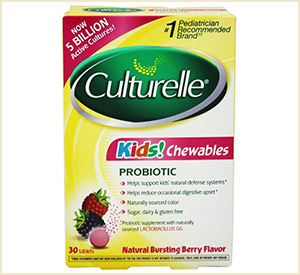 Listed as a #1 Pediatrician Recommended Probiotic Brand, Culturelle Kids Chewables is free of milk, lactose, preservatives, dairy, soy or yeast. These sugar-free chewables have a berry flavor that is pleasant to the taste. With 100% naturally sourced Lactobacillus GG, it is high on the list of clinical studies for effective probiotics. Clinical tests have shown that Culturelle is effective in improving digestive health. It contains Lactobacillus GG, which has proved effective in probiotic clinical trials. A bottle contains 60 gummy chewables thus eliminating a choking problem. It should not be used if the child has celiac. Some customers complained about the short expiration date. 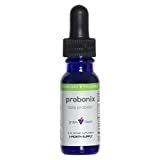 Bottom line: Parents who have children that are very active will find this one the best probiotic for kids as it works quickly and efficiently to relieve consistent stress on the digestive system. 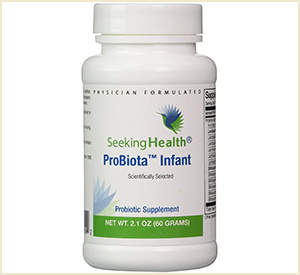 This infant probiotic, which comes in a 22.2-ounce container, is manufactured for babies between 0 and 12 months. It contains small proteins with carbohydrates and lactose to relief babies’ gas, plus L. reuteri that can reduce colic in breastfed infants with about 50%. Clinical tests show it reduces crying in breastfed babies. It’s completely free of GMOs. Advertisement needs to be clear about the amount being purchased. Some customers complained about baby’s constipation. 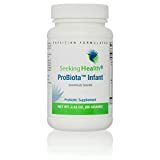 Bottom line: This product is made by a company that has specialized in baby products for many years and the majority of customers felt this product worked very well, which makes it the third best probiotic for kids. Thirty individual powder packets make it simple to place these sprinkles on a child’s food or mix in a formula. Each packet has 5 Billion friendly bacteria which works to restore the flora in the child’s intestine. Made of natural ingredients, it is free of many of the substances that cause allergies. This product is non-dairy, gluten- and sugar-free and free of foods that can cause allergic reactions. Customers report it worked well for constipated children. 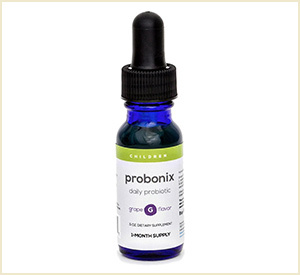 This probiotic does not require working with pills or drops. One customer reported a fussy child when this product was used. The product should be sprinkled, not crushed. The sprinkles can be difficult to dissolve. Bottom line: This product had excellent reviews and appears to work well with most children. Each packet is sealed whichprevents deterioration from exposure. 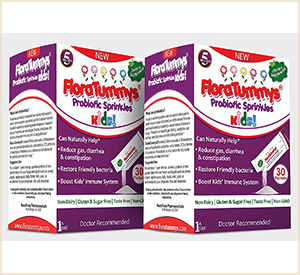 According to online reviews and ratings, the best probiotic for kids come from FloraTummys; nevertheless, the Zahler probiotics are also reliable and work for most kids. 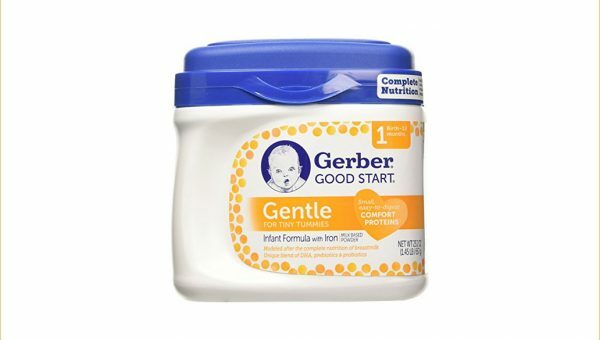 The best probiotics for infants are by far the ones from Gerber as they are gentle on the digestive tract, yet highly effective. 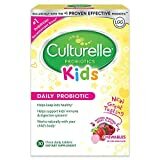 What’s your experience with probiotics for children?